Whether you are a professional or a home chef looking to take your meal preparation to the next level, we have the goods. 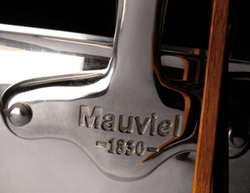 In 1830, Mr. Ernest Mauviel established Mauviel, a company that manufactured copper cookware. Today, Mauviel is a 6th generation family owned business manufacturing the highest quality products made from copper, stainless steel and aluminum. Mauviel's m'heritage collection is made of two traditional cooking materials: copper and stainless steel, (90-percent copper and 10-percent 18/10 stainless steel). 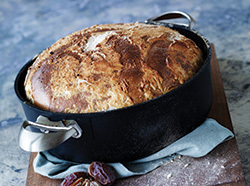 Copper exterior offers superior control, heats evenly and much faster than other metals; stainless steel interior preserves the taste and nutritional qualities of foods and is easy to clean. Sturdy stay-cool cast stainless steel handles are held with rivets for safe handling. Tight-fitting copper and stainless lid seals in flavors, moisture, and nutrients.